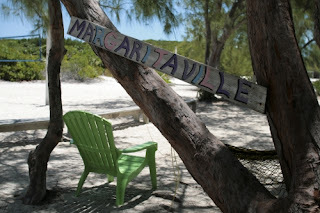 The Cow Wreck Beach Bar is another great "wet spot" in the British Virgin Islands. It is located on Anegada, a remote island with fantastic fishing and beaches. If you don't have a boat, catch the ferry from Tortola and head over. The bar is on the beach serving their famous "Cow Killer" cocktail, as well as lunch and dinner. Cow Wreck Bar provides some of the best conch fritters, grilled steak and seafood around! My family always contest that Loblobby is prettier. At some point it is, but then again, nothing beats the shade and the cow killer beats. And them rotis and fritters -- can't wait to go back.